The value resorts at Walt Disney World can be great savings for your budget. They are super affordable and packed with all the perks of staying on Disney World property. You have free airport transportation, extra magic hours, bus transportation, and so much more. In fact, we cover all the perks here, the Benefits of Staying on Disney Property. So before we go any further let’s define what a value resort at Disney is considered, the Art of Animation, Pop Century, or one of the All-Star Resorts. So what about the drawbacks of staying at a Disney value resort? Here are what we think are the worst things about staying at a Disney value resort. There is just one location to catch the bus at a value resort at Disney World. This means if you are in a room far away from the central bus location you are going to be doing a lot of extra walking on your vacation. A prime example is the Little Mermaid rooms at the Art of Animation Resort. These rooms are super far from the bus stop and considered the worst location to stay in for this reason. If you plan on spending a day or two at the pool or you just want to take the hot afternoons to cool off take note that value resorts do NOT have any water slides. Now the pool at Art of Animation is massive and has plenty of fun to offer without a slide. Just dip your head underwater and listen to Nemo and Friends chat away. I also love how many activities they host out at the pool, they have games, trivia, bingo, and more. Just take a look at the image below to see the schedule for Pop Century Resort. We have been loving that Disney is taking the time to redo the rooms at the old two value resorts, All Star Movies and all of Pop Century. However, all the room makeovers in the world are not going to change the fact that when you stay at a value resort your room is going to be smaller than the more expensive resort. If you are staying in a standard not upgraded room at a value resort the rooms are 260 square feet. What do we mean by a non-upgraded room? You can stay in a family suite room at a value resort and these are larger rooms around 500 square feet. Preferred rooms at a value resort do not change the square footage at all. For comparison, the largest standard room at Disney World comes in at 440 square feet and can be found at none other than the Grand Floridian Resort. When you stay at a value resort the only dining option is a large cafeteria. Now, this isn’t to say that the food selection is bad. We actually love dining at the Landscape of Flavors over at the Art of Animation. However, the area is massive, often loud and crowded during peak meal times. If you are looking for a quiet meal or something a little fancier you will need to leave your resort and dine elsewhere. So what do you think? Are the cost savings worth staying at a value resort at Disney World? Let us know what you think in the comment section below. I think it all depends on how you do Disney World. A lot of the times when we would travel down here we found ourselves hardly ever at the resorts. This is because we were out in the parks. We have had family visit though that will take a day or two off from the parks just to chill and have a pool day while on their vacation. If you are looking to find out which Disney value resort to stay at check out The Best Disney Value Resorts Ranked. 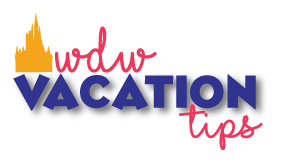 I also highly recommend downloading our FREE daily Disney World Vacation printable planner and order the official Disney World vacation planning videos for FREE! If you find yourself with any unanswered questions join our private Facebook group and we will answer your individual questions.